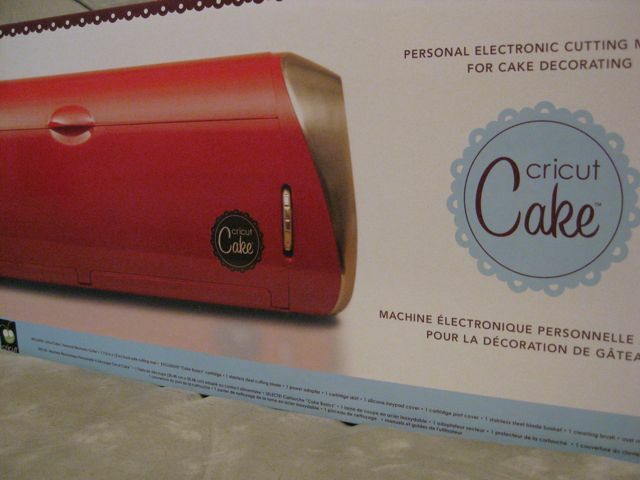 Mega•Crafty: Cricut Cake... it's heeeeere! I was so exited when I saw the big box waiting on the porch! And I've been thinking about this... it just so happens that between now and the rest of the year are when most of my cake making opportunities come up on the calendar. Mother's Day (although it's a busy week next week so I'm not so sure I'll have time to play with the cricut before Sunday. Christmas- it's a long season so there has to be a cake making opportunity for some festive party. Who knew I was missing so many opportunities to decorate cakes all these years! I am seriously SO excited for you! I saw one of the machines in JoAnn's yesterday and can't WAIT to see one in action!